Henley Royal Regatta. Henley-on-Thames, ENGLAND, 26.06.2006. Pontoons/ Boat Tents Area GV's. 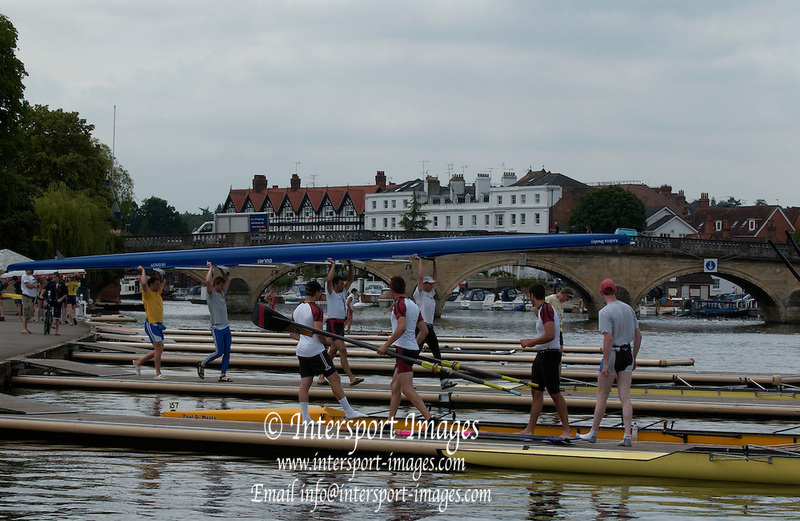 Photo Peter Spurrier/Intersport Images.email images@intersport-images.com... Henley Royal Regatta, Rowing Courses, Henley Reach, Henley, ENGLAND [Mandatory credit; Peter Spurrier/Intersport Images] 2006 . HRR. Henley Royal Regatta. Henley-on-Thames ENGLAND 26.06.2006. Pontoons/ Boat Tents Area GV's. Henley Royal Regatta Rowing Courses Henley Reach Henley ENGLAND 2006 . HRR.